One of the San Francisco’s lesser known major parks, Glen Canyon Park is 70 acres of dramatic vistas and seclusion. At the heart of the canyon Islais Creek, one of only a few remaining free-flowing creeks in the city, is surrounded by a lush corridor of vegetation. 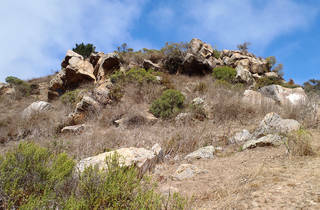 Massive chert rock formations popular with bouldering aficionados protrude from the surrounding slopes. 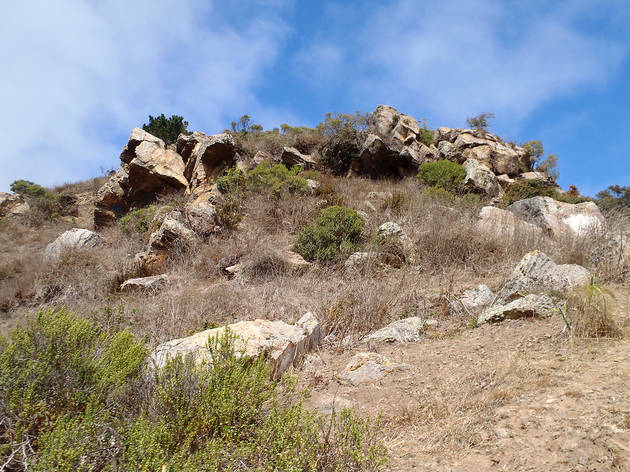 Once badly in need of upkeep, Glen Canyon Park was given a makeover a few years ago and now has well maintained trails, raised walkways in swampy areas and wooden steps on the steep hills. At the front of the park are tennis courts, a children’s playground and playing fields. Inside the adjacent airplane hanger-like recreation center built here in 1938, the city opened its first public indoor climbing wall in July 2017.